Carefully designed for exceptional swimming action, even at slow speeds and in cold water. 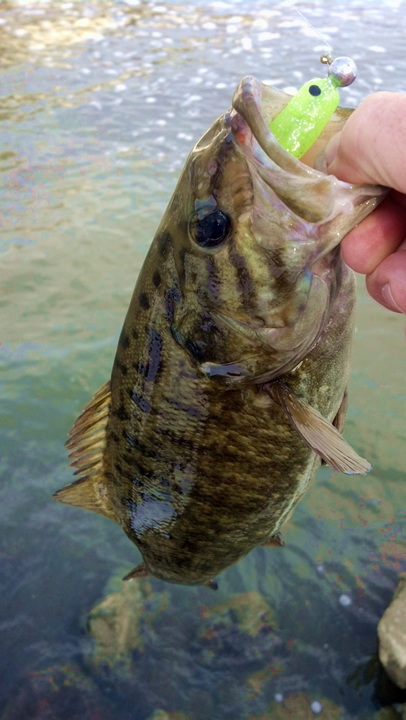 Easy to fish with: Rig them on a simple lead head jig with an exposed hook. What makes Joshys different: Simply put, they have unparallelled action, and they are not a copy of someone else's product. We hand carve each master of our baits. We make custom molds. We choose the highest quality materials, and we design our colors to catch fish. We test their effectiveness in a variety of conditions, and when we get excited about the results, we share the bait with you. Just cast them out, then reel 'em in nice and slow. 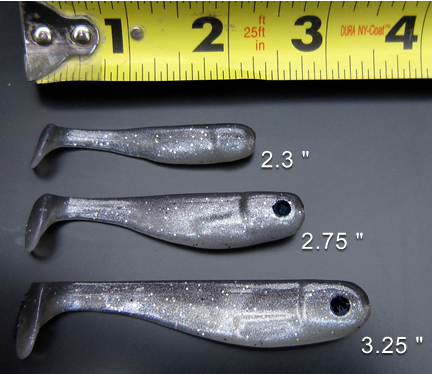 Our Minnows are loaded with built in action! Unique, effective, fun. Meticulous effort and research has gone into their design, and the results are baits that catch nearly every species of fish in all conditions, even after dark. 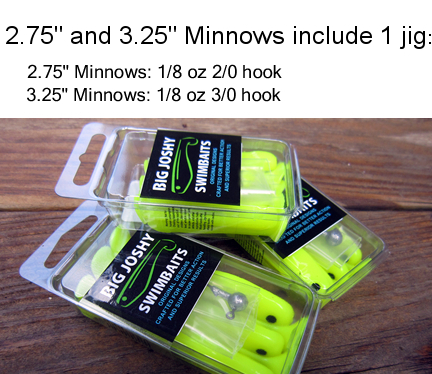 Try all three sizes of the Big Joshy Minnows, and see for yourself why Big Joshy Swimbaits are becoming the go-to soft plastic for casual and tournament anglers alike. Arrived quick as always. Great product can’t wait to try this new color during the spring bite.